Pedestrian accidents can be some of the most catastrophic accidents because pedestrians are not protected by gear like helmets or seat belts. These accidents leave pedestrians at risk of serious injury. This is why it is so important for all drivers to keep an eye out for pedestrians and remain cautious. By the same token, pedestrians should always remain vigilant when near roads. On May 25, the Worcester Police Department received information about a pedestrian-vehicle accident with minor injuries. The accident occurred around 3 in the afternoon at the 100 block of Summer Street. Emergency responders quickly arrived at the scene. Upon arrival, emergency personnel administered help to the pedestrian for minor injuries. While the extent of the injuries was still being determined, no fatalities were reported. The accident was cleared up within the hour. 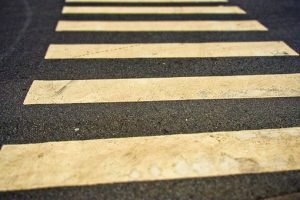 Pedestrian accidents can have catastrophic or even fatal consequences. While this accident luckily only resulted in minor injuries, some accidents can be much more extreme. These accidents devastate lives and leave victims to deal with negative life impacts. We urge all drivers to remain attentive when driving and to watch for pedestrians. We at the Law Offices of Jeffrey S. Glassman are very aware of the consequences of pedestrian accidents. As dedicated members of our community, we want our roads to be safe for all who use them. We strongly urge all drivers to follow the rules of the road and for all pedestrians to remain aware of their surroundings. We know that accidents can happen to even attentive drivers, so, when they occur, we are here to help victims recover the help they need to move forward with their lives.